With Venom successfully launching the setting internally being referred to as Sony’s Universe of Marvel Characters, and Tom Holland’s initial contract with Marvel Studios set to wrap with Spider-Man: Far From Home, fans are nervous about the future of the character’s role in the setting that calls the Avengers home. Here’s why fans shouldn’t panic; it’s in both Disney and Sony’s interests to keep the web-head in the Marvel Cinematic Universe, while also largely making sure that the spin-offs are their own thing. 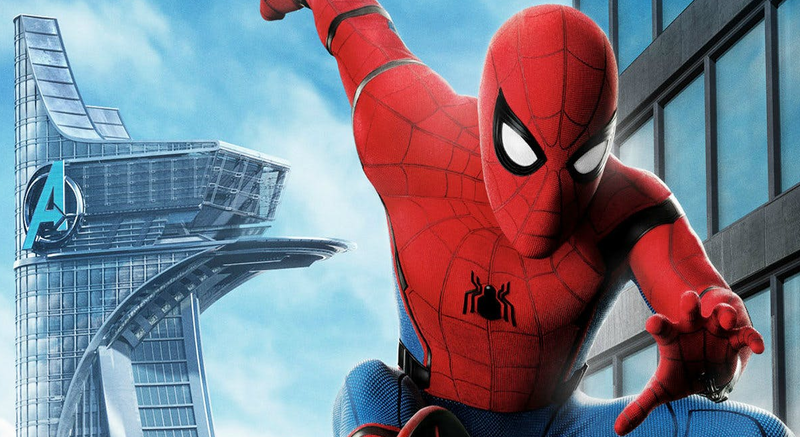 Sony aimed to start a shared universe of Spider-Man movies with The Amazing Spider-Man and its sequel. 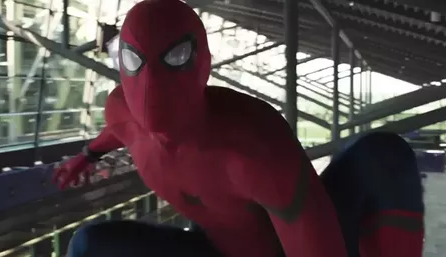 However, when the second movie performed below expectations in 2014 and the relationship between Andrew Garfield and Sony’s executives soured to the point where he was quietly booted from the franchise, it was clear that the character would need another reboot, and there weren’t a lot of great options with the state of Sony Pictures around that time. 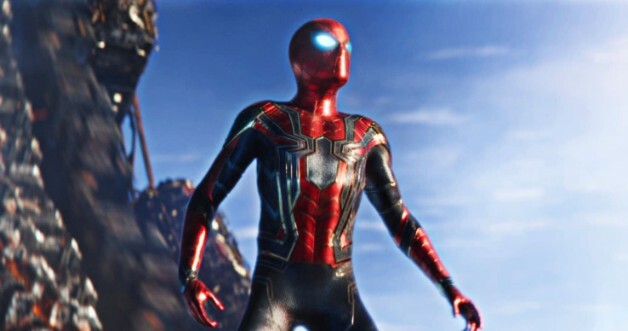 With the success of Disney’s Marvel Cinematic Universe to fall back on, Kevin Feige approached Sony’s execs with a plan: they keep the Spider-Man IP and the profits off of standalone movies, but Marvel Studios would get to bring him into their setting with crossover appearances, and they would have creative control over a new film franchise set within the MCU, effectively giving Sony a few free hits. As a bonus, this would be done without repeating the origin story by introducing Spider-Man as a rookie superhero in a larger world full of more experienced superheroes – almost like the original comics back in the 1960s, in that sense. And so, just over three years ago, it was announced that Sony would bring the Spider-Man film franchise into the Marvel Cinematic Universe while also developing spin-offs that wouldn’t necessarily be related to the MCU. So far, that’s come to pass on both fronts, with the character reintroduced in Captain America: Civil War with Tom Holland, followed by Spider-Man: Homecoming and Avengers: Infinity War, followed by next year’s Avengers: Annihilation and Spider-Man: Far From Home. 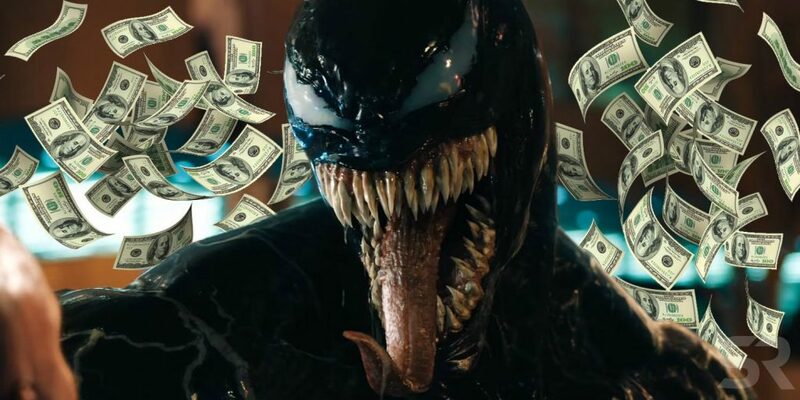 Meanwhile, Venom is now in theaters and is a certified hit, an unrelated animated movie called Spider-Man: Into the Spider-Verse is set to release in time for Christmas, and additional spin-offs presumably set in the same continuity as Venom featuring the likes of Morbius, Nightwatch, Silver Sable, Black Cat, Silk, Jackpot, and Kraven the Hunter are in varying stages of development. That last character is of particular interest, because it’s recently been revealed that a movie about Kraven the Hunter is in the active development phase. And apparently, the writer of that project is saying that Spider-Man will explicitly appear in it. So that raises a lot of questions, ranging from whether this Spider-Man is Holland’s appearing in what is semi-officially an MCU movie, if this will be a new iteration of the webslinger, or if the MCU version will sever all ties from that setting and join Sony’s setting. 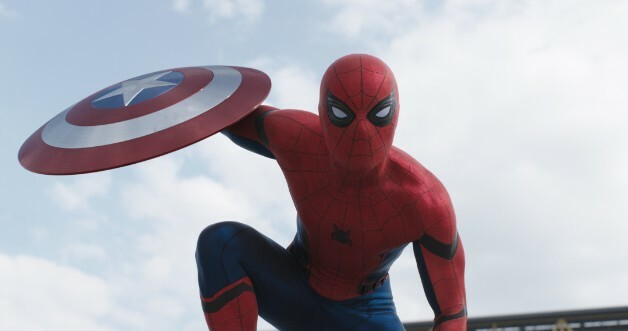 Spider-Man – In The MCU – No More? Zoinks. It’s also worth noting is that when talking to The Hollywood Reporter, Tom Holland explicitly noted that he is on-contract for a whole trilogy of Spider-Man movies as opposed to two standalones. Obviously, Sony isn’t going to stop a successful movie series at two installments, or actively signal that they’ll stop at two. (This isn’t TASM.) That would be a massive PR disaster in the making, and one that Sony is at least smart enough to avoid. But still, there are concerns that this third movie might not have the involvement of Marvel Studios. After all, if Sony has plans for several spin-offs, one of which explicitly requires Spider-Man to show up, why bother continuing the partnership since the franchise is now back on its wall-crawling feet? Well, there are plenty of problems with that theory, starting with the same interview with Pascal where that first quote came from. The part that’s lost in translation is that a deal between three corporate giants like Disney, Sony Pictures, and Marvel Studios is indeed a rarity. It’s a complex and unprecedented road to travel upon, so theoretically, extending such a deal is something that *might* not happen on principle. And, indeed, if Homecoming had done worse than either of the two Amazing movies, then that would likely be grounds for Sony to discontinue the deal when the question of renewal appeared. But after Homecoming nabbed the franchise’s second-biggest box office haul ever against the franchise’s second-smallest budget (which would be the smallest if you compare Homecoming‘s costs to an adjustment of the budget of 2002’s Spider-Man for inflation), Sony has significantly fewer reasons to be apprehensive about extending their contract. While they’re picking up the tab on Homecoming and Far From Home, Sony also gets to reap the benefits of having another studio package several critically-acclaimed, fan-pleasing, and financially-successful movies for them. Why would they give that up in favor of telling what, by their own admission, would be the same stories over and over with a more limited library of characters? 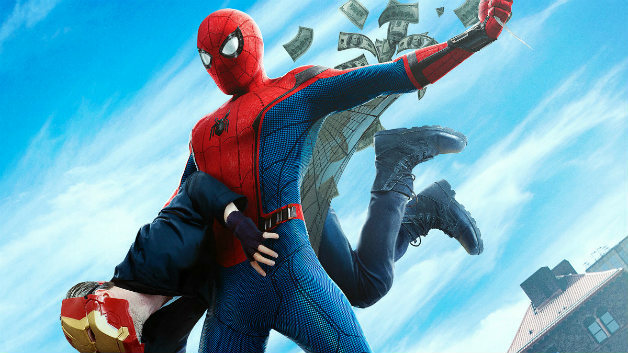 Homecoming was the highest-grossing superhero movie of 2017, and while Far From Home is likely to be eclipsed by Avengers: Annihilation at the box office, knowing that Far From Home is a direct sequel to the events of that massive crossover is likely to have the movie see a spike in business. And while the ink hasn’t dried on plans for a third movie, Marvel and Sony both indicated that Holland will get a trilogy, so a third installment isn’t just going to ditch all references to the Avengers. So yeah. Spider-Man *probably* isn’t going to awkwardly leave the MCU after becoming a fan-favorite in such a short period of time. Which still raises the question about Sony’s Universe of Marvel Characters. As of right now, Marvel Studios is keeping their post-2019 plans as secret as they can, even though we know of several movies on the horizon and a handful of shows for Disney’s streaming service. Meanwhile, Sony hasn’t really spoken much about the nature of the partnership since the lead-up to Homecoming and right before Venom started production. Jared Leto is set to star in Morbius the Living Vampire, the next movie in this setting, and while there’s no word on Venom 2 just yet, it’s pretty much a given based on the movie’s budget-to-profit ratio. Before or after Venom 2 will likely come the Kraven the Hunter project, which will feature Spider-Man in it if they stick to the current plan. Something that I think is also overlooked is that right around the time that Spider-Man: Homecoming was released, Sony Pictures head honcho Tom Rothman noted that spin-offs about Mysterio and Kraven were in-development. But since then, when it became clear that the story of Spider-Man: Far From Home needed the character, there has complete radio silence from Sony about any version of Mysterio starring in a movie for the SUMC (man, do they need to work on that acronym). Conversely, their planned movie about Kraven is still moving forward. Rumors have also indicated that a big reason that Silver and Black got cancelled in favor of spin-offs with Silver Sable and Black Cat was because Silver and Black‘s story involved Norman Osborn in a minor role, and that Marvel *might* just have plans to use him in their own movies. If Sony is willing to freeze plans for SUMC movies at Marvel’s request, then that seems like ample proof enough that there is some degree of coordination between the two quasi-connected Spider-Man franchises. Ages ago, I went diving through Sony’s e-mails when those leaked out onto the internet, and found that one idea they had in the wake of TASM2’s underperformance was to let each filmmaker do their own thing in a world tangentially connected to Spider-Man himself instead of focusing on having each Spider-Man movie set up a spin-off (like the never-made Sinister Six, which nobody asked for anyway). This is the approach that DC Films is taking post-Justice League (for now), and it seems likely that the approach is going to work substantially better than trying to rush an entire cinematic story of dozens of beloved characters into five main movies and a handful of spin-offs ever would have. This is the approach Sony needs to take with the non-MCU spin-offs – instead of trying to implement them into an established setting (which Marvel Studios movies would likely ignore anyway), they need to make their own movies that are director-driven, and preferably with their own Spider-Man. The reason I’m arguing for two cinematic versions of Spider-Man existing at the same time is because only one of them will actually carry a cinematic franchise: Tom Holland’s version. Meanwhile, this other actor could portray Spidey as a supporting character in the SUMC movies. Having two actors play the same character might be confusing for casual audiences (again, DC is gambling on this with two Jokers), but at the end of the day, casual audiences (who make up a large portion of the people seeing these movies) will come to see anything they think looks entertaining and will put figuring out the continuity between the films on the backburner. Meanwhile, this would open the door for Marvel Studios to have their own versions of Venom, Morbius, Kraven, and so on without having to limit – or be limited by – what Sony’s movies are doing with them. Venom, for instance, could actually have a connection to Spider-Man in the Marvel Studios version, and could be portrayed as a straight-up villain in an entire movie – something we never got in Spider-Man 3, and that movie was effectively worse for it. Marvel Studios should be allowed to do their thing, and Sony can still do their thing on the side, but don’t cross the streams. The thing about Venom was that it was made because Sony needed another potential blockbuster franchise that didn’t have Spider-Man in it (or, more importantly, that it could prove that a Venom move didn’t need Spider-Man in it to work). That was clearly a success, so we’ll likely see more where that came from. And this is completely within Sony’s rights to do, since they own the license. But it’s also within their right to let another company with a proven track record handle developing their main attraction as part of a larger world; one where he isn’t the biggest superhero on the block, but is easily one of the most memorable. So why sacrifice the ability to do either when you can have it both ways, at no personal cost to Sony Pictures? Earlier, I believed the future of the Spider-Man franchise on film was with Marvel Studios overseeing everything that Sony would do going forward, spin-offs included. But after watching Venom, and seeing that there is surprising potential with Sony’s spin-offs if they pace themselves, my thought process has changed. Marvel Studios absolutely needs to be handling the main Spider-Man franchise; my view hasn’t changed there. What has changed is my view that Sony should let their creators have fun with the IP in their own parallel universe of movies involving supporting Spider-Man characters that Marvel Studios likely won’t explore in the same capacity. Learning to share is part of the reason why we got Spider-Man in the MCU in the first place, but it’s perhaps best for the two brands going forward that they learn when it’s best to *not* share, and Sony can clearly succeed with the SUMC without Tom Holland’s version of the character popping in to make the occasional cameo. Venom is currently playing in theaters. 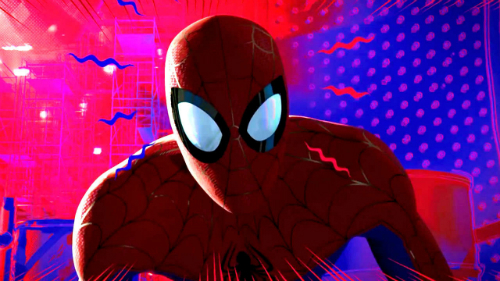 Spider-Man: Into the Spider-Verse will be released on December 14, 2018. Avengers: Annihilation will be released on May 3, 2019. Spider-Man: Far From Home will be released on July 5, 2019. A third Spider-Man movie set in the MCU is also planned, as are other Sony-Marvel spin-offs that may or may not involve the web-head.